There may be some question as to whether Kobo will be getting into audiobooks, but there's no reason to doubt Thalia's interest. This German bookseller recently launched a new audiobook service which offers limited access to 15,000 titles. 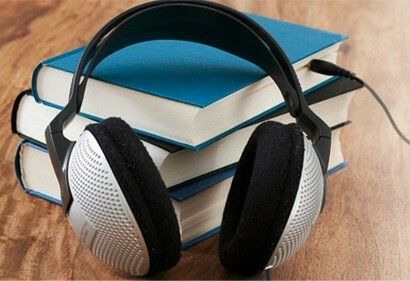 This Audible-like service allows subscribers to download one DRM-free mp3 audiobook each month for €10 a month. The audiobooks are backed up to a user's account in the Tolino cloud (just like their ebook purchases) and can be listened to on the recently launched Tolino Tab 8 or in any compatible app for Android, iOS, Windows, etc. Thalia's ebook apps aren't equipped yet to play the audiobooks, but lesen.net reports that support will be added in the near future. In addition to the subscription service, Thalia is also selling audiobooks, with prices ranging from €5 to €29. According to lesen.net, the retail prices were sometimes higher than Amazon's prices in Germany, and sometimes lower. The subscription price, on the other hand, matches the cost of a subscription to Audible.de. Anazon reportedly offers over 100,000 audiobook titles in Germany, about 7 times as many as Thalia. Most of those titles are encumbered by DRM. In addition to selling books and audiobooks, Thalia also sells ebooks as part of the Tolino consortium. It's the largest chain of bookstores in Germany, and coincidentally it is also up for sale. Reuters reported last week that Thalia's parent company has directed a merchant bank to organize the sale of Thalia.